Priscilla Brastianos, MD. MGH Cancer Center. 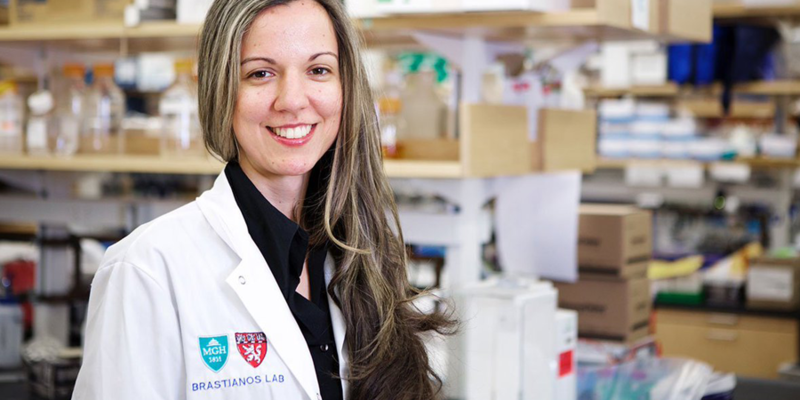 After losing her mother and grandmother to cancer, Priscilla Brastianos (BSc ’02) is using the latest genomics-driven techniques to better understand the molecular underpinnings of the disease. She leads the Central Nervous System Metastasis Program at Massachusetts General Hospital Cancer Center. Your research focus has a very personal story behind it. About six decades ago, my grandmother was diagnosed with breast cancer while she was in medical school. She died a few years later when she was 29. I grew up hearing her story of strength and courage. I not only wanted to follow in her footsteps as a physician, but also study the disease that took her life. Four decades later, my mother was diagnosed with breast cancer, while I was in medical school. Seeing the impact of cancer on her life drove me further to cancer research. Sadly, she passed away just a few years ago. I miss my mother every day and strive to find better treatments for other women with metastatic breast cancer. How can genomic studies help us treat brain cancer? Understanding the molecular underpinnings of brain cancer with genomic studies has helped us identify new therapeutic targets. A number of clinical trials are being developed with our improved knowledge of the genetic drivers of brain cancer. Most clinical trials have excluded patients with brain metastases, but this is changing. Why is this shift taking place? Most clinical trials have historically excluded patients with brain metastases for two main reasons. First, historically our understanding of the genetic landscape of brain metastases has been limited. Second, many patients with brain metastases can be quite sick, and companies have been hesitant to investigate new drugs in this patient population. This is dramatically changing now as our understanding of the molecular drivers of brain metastases is improving and patients are living longer. We're developing new therapeutic trials that have a lot of promise, which is exciting. What do you love about your time in the lab? What makes me thrilled to come into the lab every day is knowing that our research impacts patient care. When our work improves the lives of patients, I feel content. However, we still have a long way to go to find better treatments for patients. I’m dedicating my life to this goal.